Youi is a leading insurance company who prides itself on being one of the most competitive insurers in the business. They get to know its customers and their lifestyle to provide them with a great price and real savings. 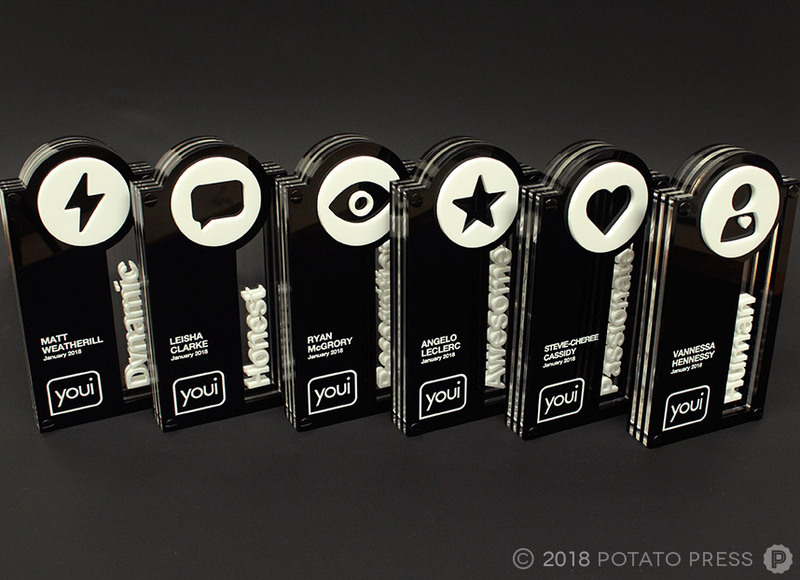 At the end of last year Youi requested us to create a collection of trophies for their upcoming Core Business Values Awards, recognising the achievements of their employees. 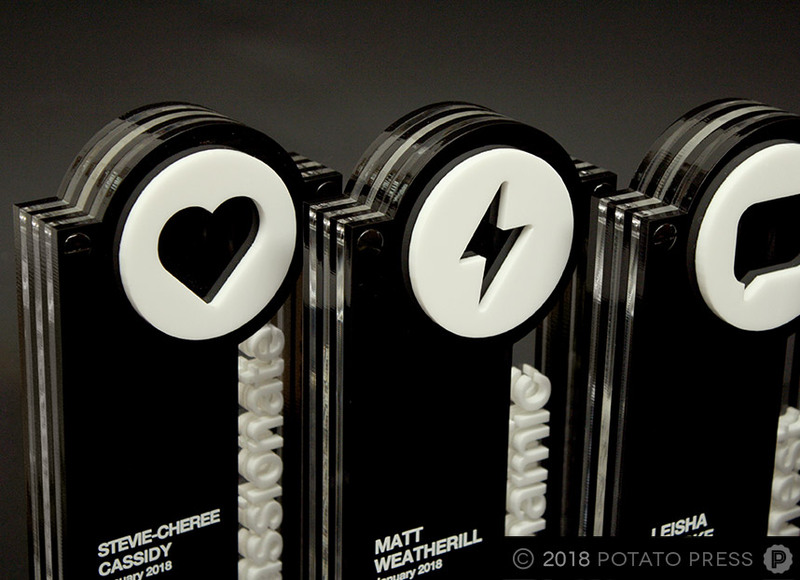 Using black, white and clear acrylic, the trophies were pieced together layer by layer and also included some acrylic elements that were adhered to the surfaces for a 3D effect through the layers. 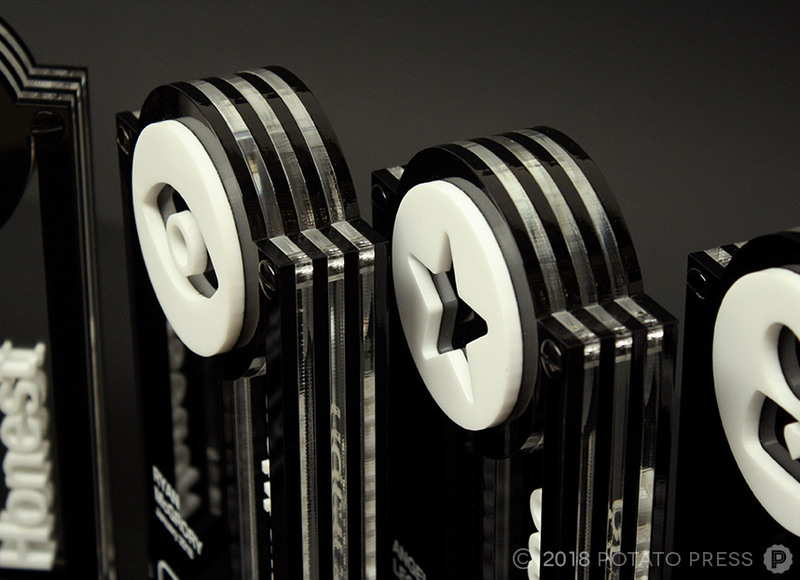 We love the sharp contrast between the black and white acrylic in these trophies. 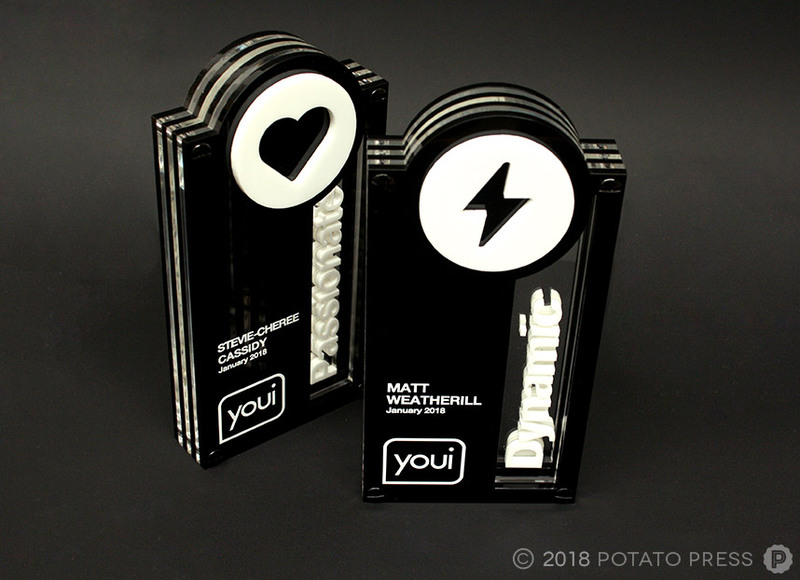 Have an upcoming awards ceremony and want a unique and custom award? Contact us to see how we can help bring a creative feature to your upcoming event!